Toddler tantrums are right up at the top of the list of things parents don’t want to encounter. Unfortunately, even the most well behaved toddler will occasionally have a tantrum. Since this is bound to happen on occasion, it’s important for parents to know how to deal with them when they do occur. 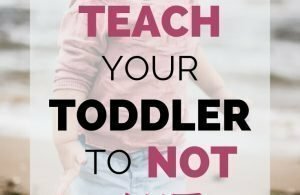 The good news is that you can learn to understand why your toddler is throwing a fit, what to do to calm it, and even how to prevent tantrums in the first place. Before you try to tame a tantrum, it’s important to try to understand why a tantrum is happening in the first place. If you know why your child is losing their cool, you will be better prepared and equipped to help them calm down and behave appropriately. Let’s look at a few reasons your toddler may be acting out. One of the big reasons toddlers have tantrums is from a lack of control over their own emotions. One of these “big,” difficult to control emotions is anger. If your toddler becomes angry, he may very well throw a fit. Many times, this is because he simply doesn’t know how to handle his anger any other way. This particular reason for a tantrum may lead to aggression such as kicking or hitting. Another big emotion that may cause your toddler to lose his cool is disappointment. Maybe he was promised a snack but then refused one. Maybe he wanted to play outside but it was time to come inside for dinner. Whatever the case may be, disappointment can be a contributing factor to tantrums. Sadness is a big emotion that may be coupled with disappointment. Sometimes when toddlers are very sad about a situation, it can lead to a tantrum–especially if their emotion is not acknowledged and handled. Ignoring or underplaying big emotions can frequently lead to tantrums. Remember, toddlers are just beginning to learn to handle their own emotions. A lack of understanding of appropriate ways to show their feelings can lead to tantrums and meltdowns. Tantrums can be instigated by frustration. Frustration may not always be the initial cause of a tantrum, but it can become a contributing factor when other emotions are ignored. A toddler may also become frustrated if he feels he is being ignored or is not understood. Many toddlers are still learning to communicate their thoughts and feelings. It’s understandable that they sometimes become frustrated if they cannot make themselves understood. You would likely be frustrated too if you were in that position! An overly tired child is far more prone to tantrums than a well rested one. Exhaustion can cause toddlers to have short fuses. Even small, seemingly insignificant things can set off a tired toddler. These types of tantrums can be particularly difficult to tame, because your child may be too tired to even know why he is upset in the first place. While every toddler will eventually have a tantrum for one reason or another, there are things you can do to help prevent them from happening. A well rested toddler is a happy toddler. I firmly believe that toddlers should have a regular, set bedtime that allows them to get enough rest during the night. Be sure to also set up regular nap times (or quiet times) to allow your toddler to rest during the day as well. Overly exhausted toddlers can sometimes have difficulty getting to sleep at night. Being overtired also tends to cause your toddler to not sleep as well during the night. All this can lead to a crabby child that is ready for a tantrum at any time. A great way to help your toddler avoid tantrums is to establish healthy routines. Routines are key to helping your child feel safe, secure, and in control (in a good way!). Routines allow your child to know what comes next in his day, so that he will less likely to throw a fit. 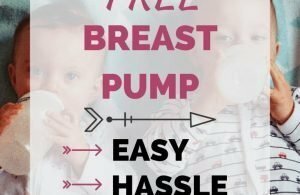 I am currently putting together a course to help you start healthy routines with your toddler (or baby! ), so that tantrums become a thing of the past. The course will also include tools and resources to help you be successful in setting healthy routines for your family. The course will not be expensive (exact price to be determined soon! ), and will launch sometime this spring. Want to be included in this course and receive a special launch discount? Sign up for the wait list and be the first to know when it launches, and receive special offers! 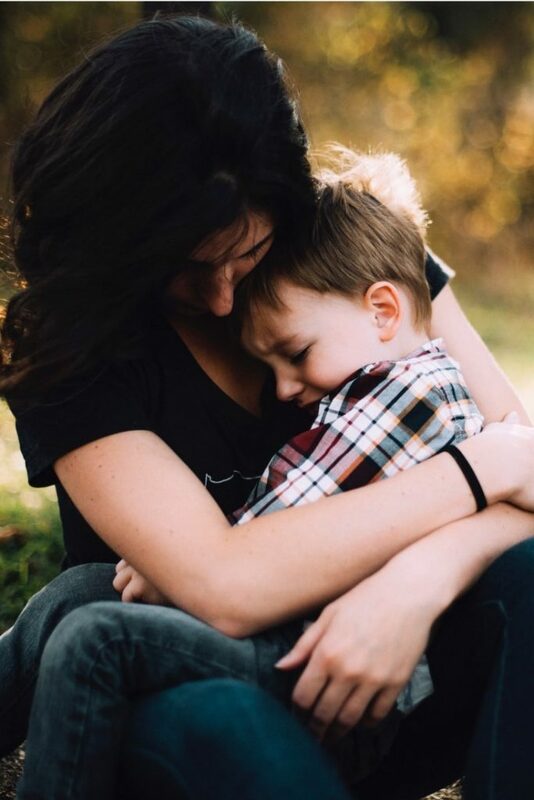 Even if your toddler is having trouble communicating his thoughts, emotions, and needs, doing your best to listen and understand him will help to diffuse an impending tantrum. Often times, we as parents get so busy in our day to day lives that we forget to slow down and really listen. Unfortunately, in the midst of our business, we sometimes neglect to make sure that our children feel heard and understood. Take the time to slow down and really listen to your toddler. And this doesn’t just include when he speaks to you. You need to also be aware of him throughout your day. 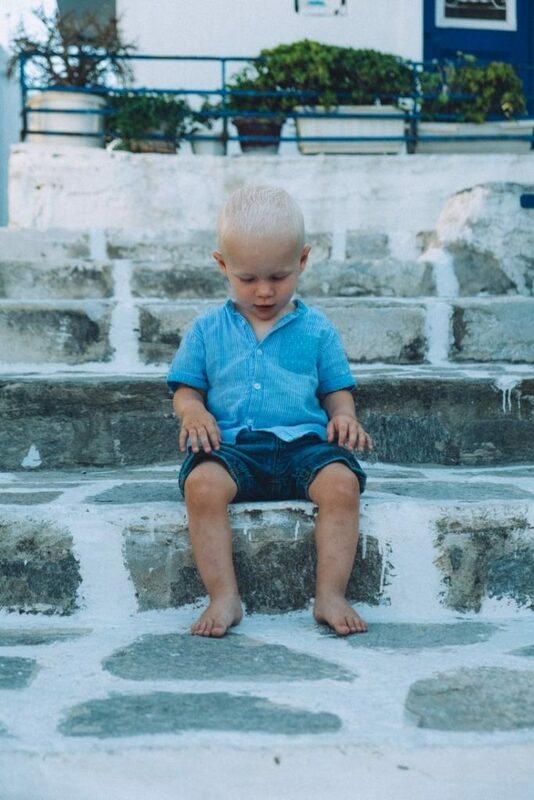 You’d be surprised how much you can learn about your toddler from his body language alone! Before your toddler blows up into a tantrum, make an effort to take the time to teach him appropriate responses. Teach him that throwing a fit when he is disappointed isn’t an appropriate response to his emotion. Instead, help him find the words (if he is able) to express himself to you. If your toddler isn’t able to verbally communicate his feelings to you yet, try to find other creative ways to help him express himself in a healthy way. For example, for a short time my toddler would get frustrated and throw a tantrum because he couldn’t talk yet and was unable to tell us what he wanted. He would throw himself on the floor, kicking his feet and hitting the floor with his fists–the works! Instead of letting him continue to work himself up, we worked on teaching him point to the things he wanted. Because he is only one year old and not yet verbal, we helped him find other ways to communicate with us while we worked on his verbal skills. While preventing tantrums is certainly the goal, sometimes it’s just inevitable. It’s a normal part of the toddler years. 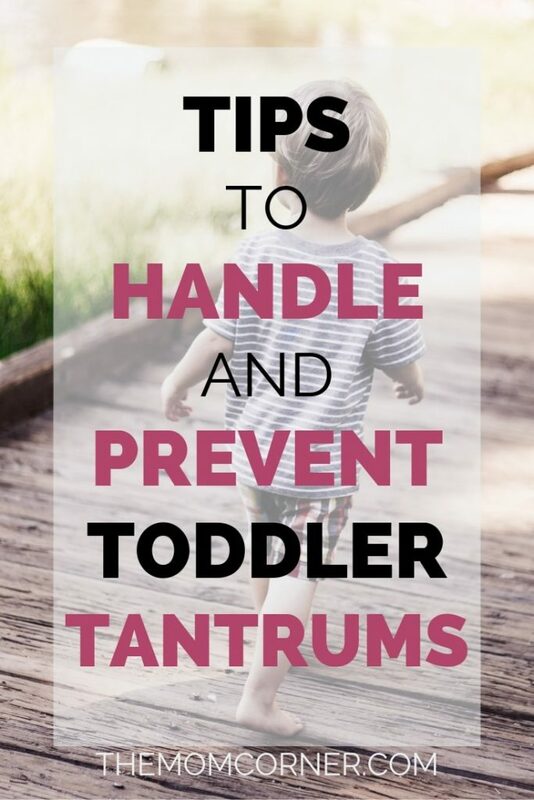 Thankfully, taming tantrums doesn’t have to be a huge ordeal. When your toddler throws tantrums, the greatest thing you can do to diffuse it is to stay calm yourself. I know, it’s hard. It’s hard to stay calm when your child is screaming, thrashing about, or possibly even hitting you. If your toddler does become physically aggressive during a tantrum, gently but firmly hold their hands. Don’t freak out at them, don’t get riled up yourself. When it comes to toddler tantrums, you can’t fight fire with fire. The more uptight and visibly agitated you become, the worse the tantrum will get. When your child’s emotions get out of control, do your best to be the steady anchor that helps them navigate those waters–not the wave that drives the storm. When you address a toddler’s outburst, do what you can to get down to their level. No, that doesn’t mean you have to be lying on the floor with them if that’s where they’ve chosen to throw their fit. But instead of making them look up at you, try to kneel down so that you are their eye level whenever possible. This position is less intimidating, and helps them to feel less like you and the world is out to get them. Let me make this clear: empathizing with someone does not mean you justify their actions or responses. Empathizing does mean that you try to understand where they are coming from, how they are feeling, and why. When your toddler loses control of their emotions and has a meltdown, do your best to understand why they are behaving this way. Is it a plea for attention? Big emotions that have gotten out of hand? Was a nap missed? Doing your very best to understand your child will go a long, long way. Toddlers are far less likely to act out when they feel that they are at least understood, even if you do not approve of their responses to situations. Instead of telling them to straighten up, try to approach it with more empathy (example: “I understand that losing your dinosaur made you sad. If you calm down, maybe we can work together to find it”). If discipline is necessary to stop a tantrum, be sure to do so wisely. Don’t threaten punishment, especially if you are going to fail to follow through. Threatening toddlers–or adults–never works. It only incites further misbehavior, and causes more problems later on. Don’t tell your child that you will take away a toy or put them in time out if you have no intention of doing so. Instead, when you discipline, know ahead of time what the discipline measure will be. Calmly inform your child of what will happen if he does not calm down. You may not even have to do this if it has happened before and your child already knows the consequences of his actions. Don’t repeatedly tell your child. As long as you are sure that he heard you, go ahead and discipline him. If your predetermined consequence is a time out, then remind him once that that is where he will go if the tantrum does not stop. You may also find it helpful to be willing to help your toddler calm down from his tantrums. Remember that many toddlers have not yet learned how to handle their emotions. Once he gets worked up, he may very well not know how to calm down again. Getting down on his level and talking calmly can help many times. Don’t try to raise your voice to be heard over any screaming your toddler may do during his tantrums. Rather, talking in a normal tone of voice frequently helps toddlers to stop yelling so that they can hear what you are saying. Encourage him to breathe calmly, and to try to communicate with you what he is thinking and feeling. I have found that approaching the situation with an intent to understand almost always helps diffuse the situation. 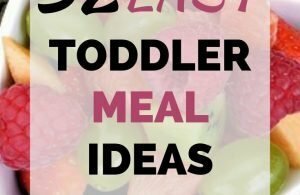 What is your greatest struggle with toddler tantrums? How do you diffuse one? 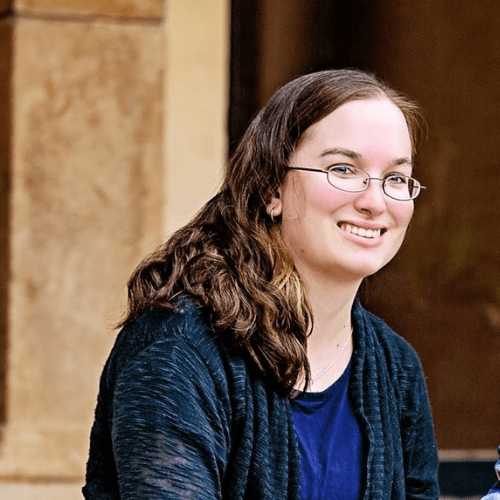 Share your thoughts and ideas with me in the comments below–I would love to hear from you! Tantrums can be so challenging as a parent but really solid advice here! Listening is really important as so much of it comes from frustration. I agree, Talya! It can be so frustrating when you can’t communicate with others. And getting frustrated over their frustration only makes it all worse. I have a three year old and it’s a daily struggle with her. Thank you for this incredibly insightful and helpful post. Love this post! What great advice and a great reminder that there is always a “why” behind the tantrum. Thank you Lindsey! I have definitely found that figuring out the “why” goes a long way in cooling down a tantrum!